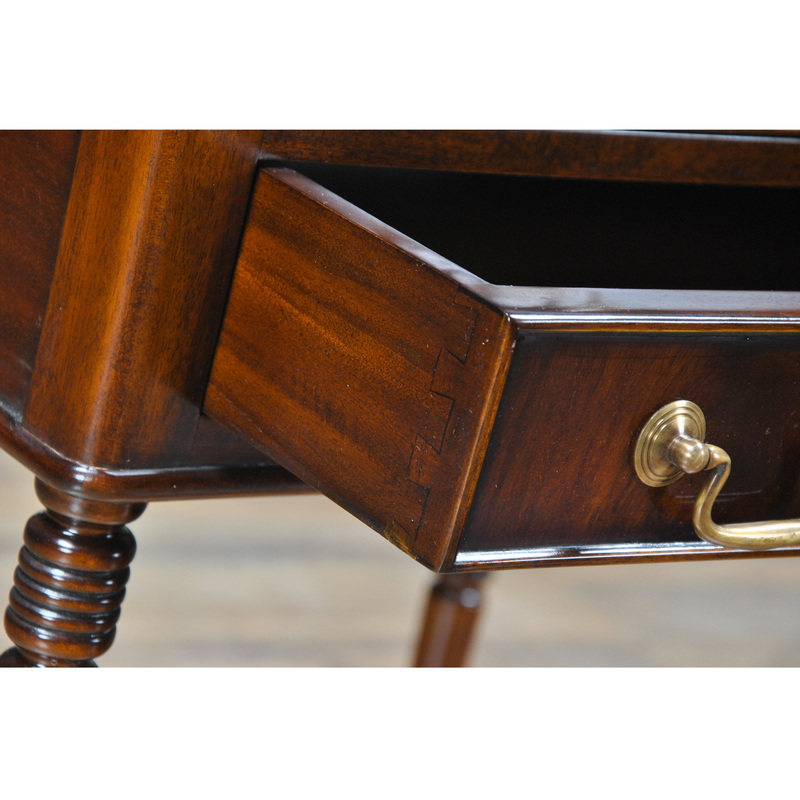 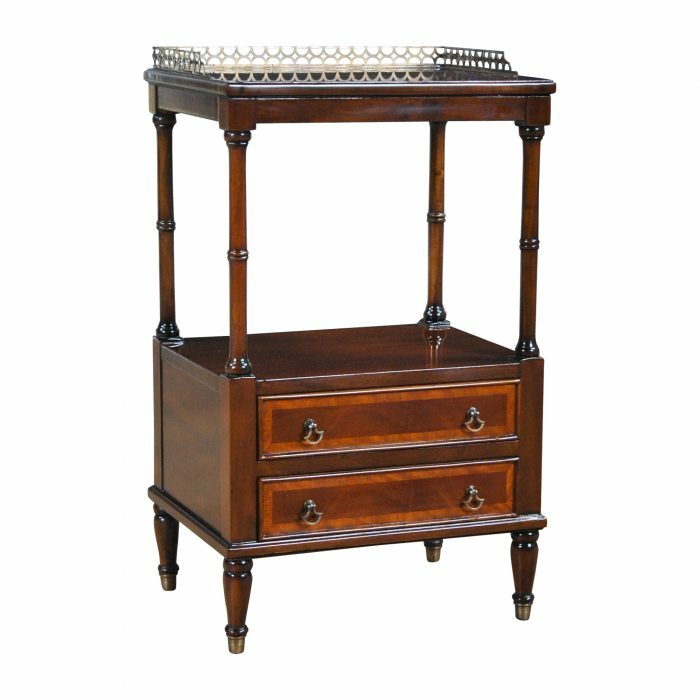 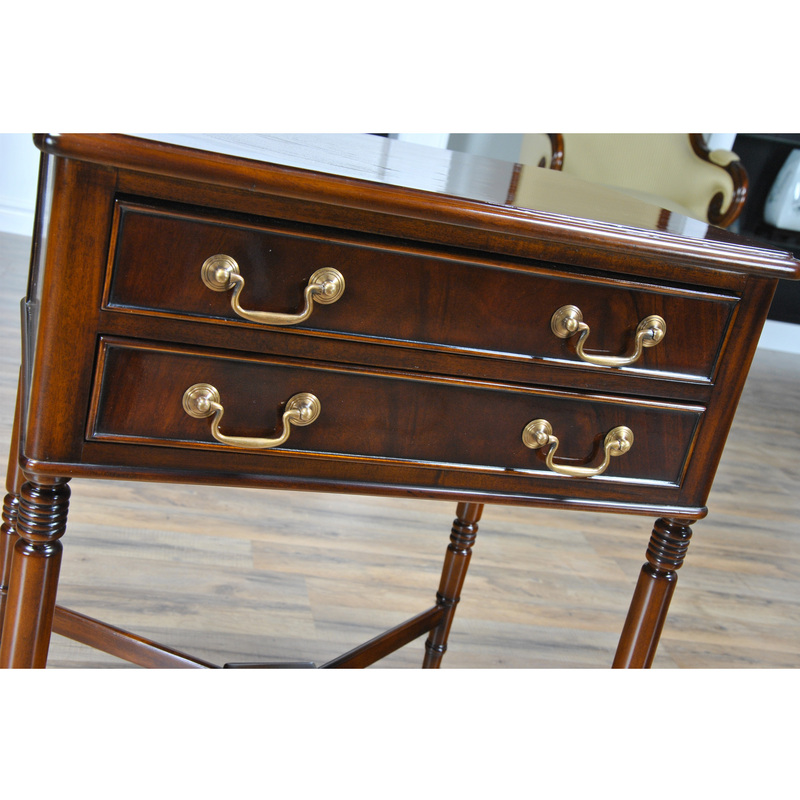 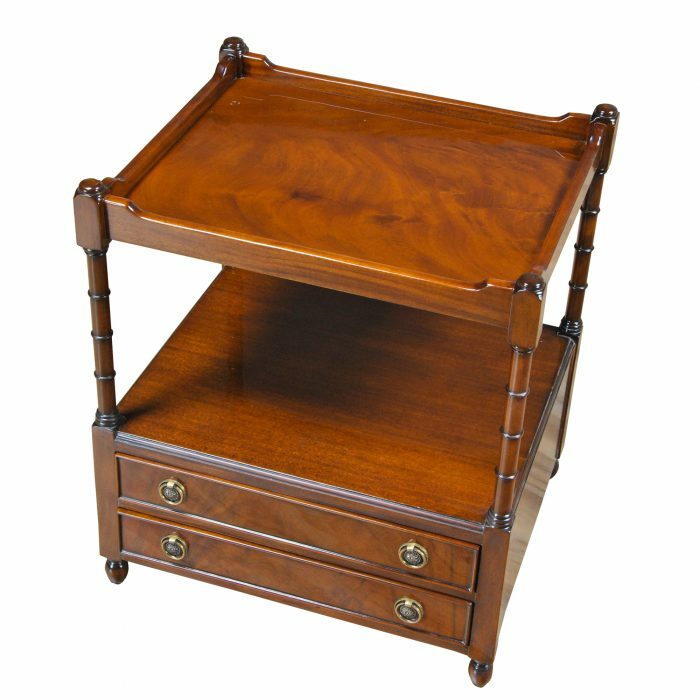 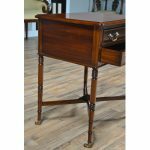 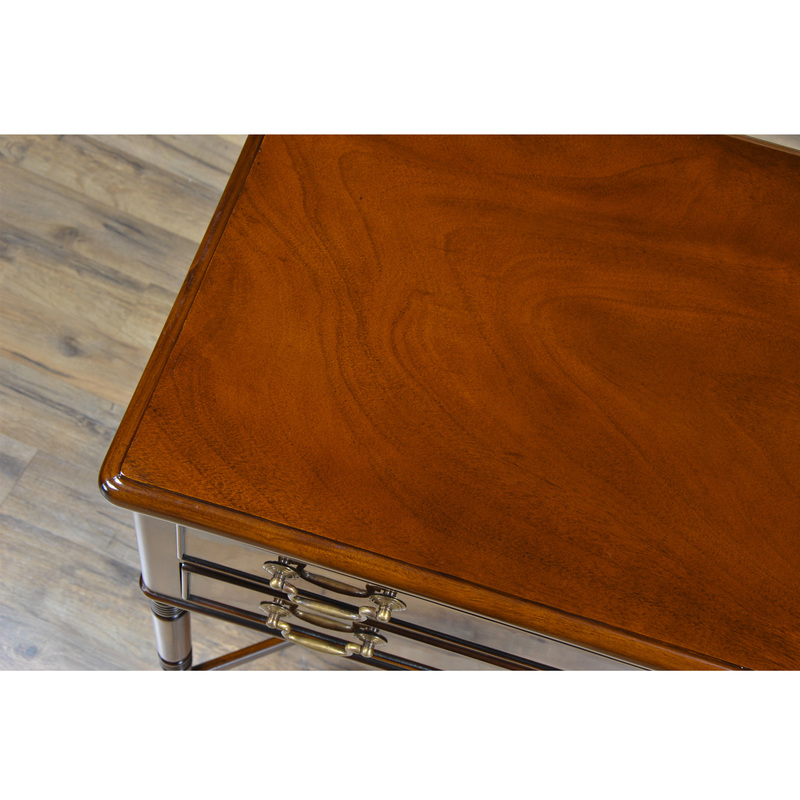 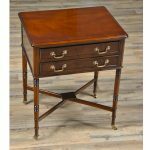 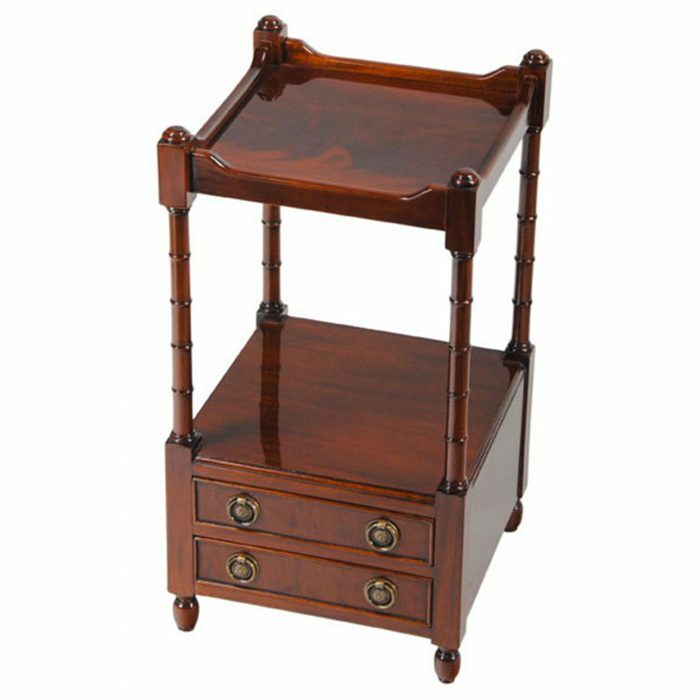 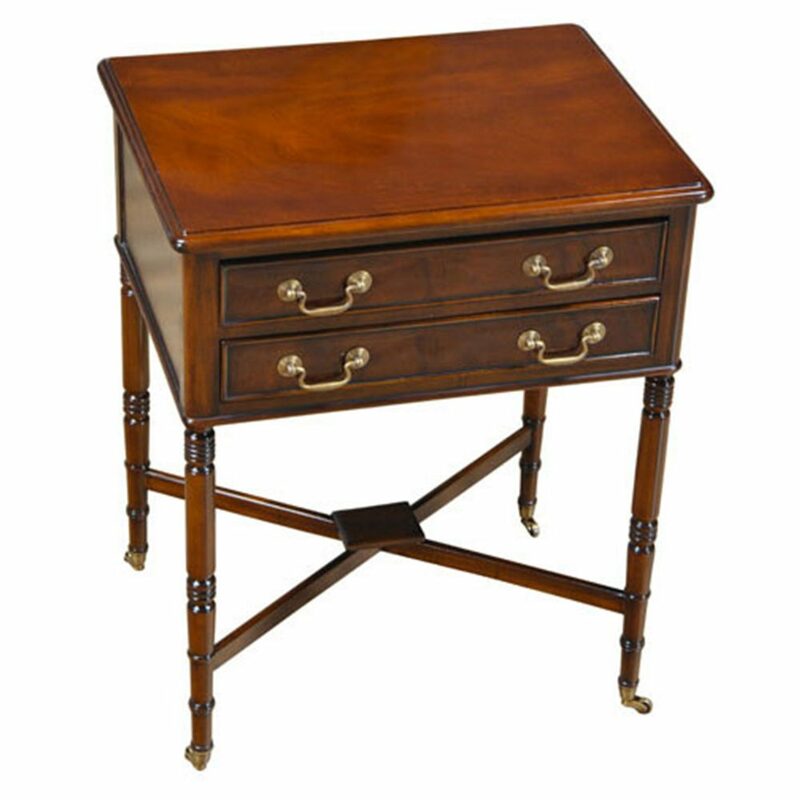 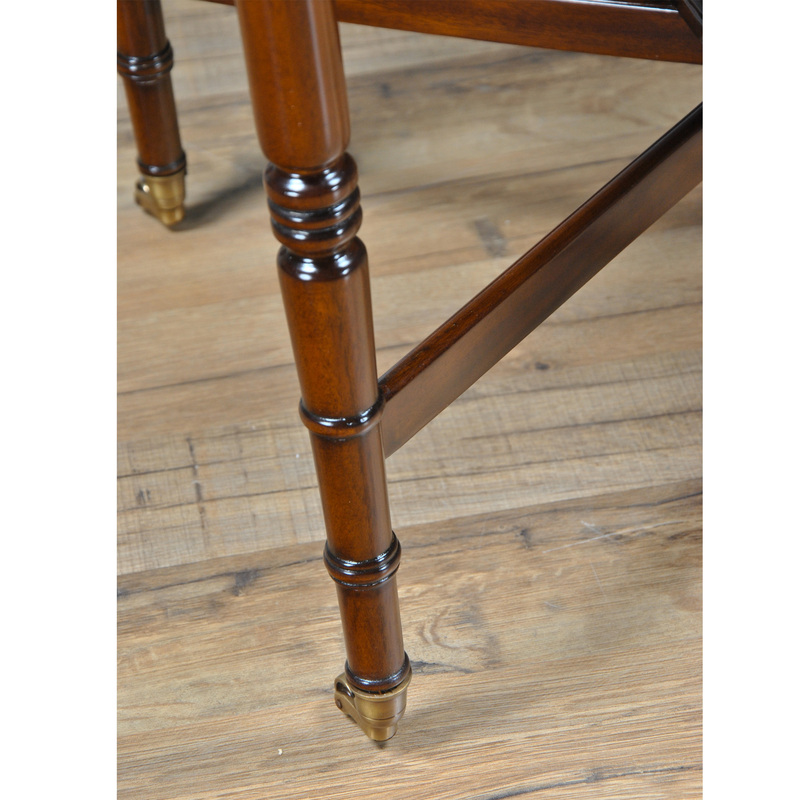 Our two drawer Mahogany Turned Leg Table is based on an antique English design. 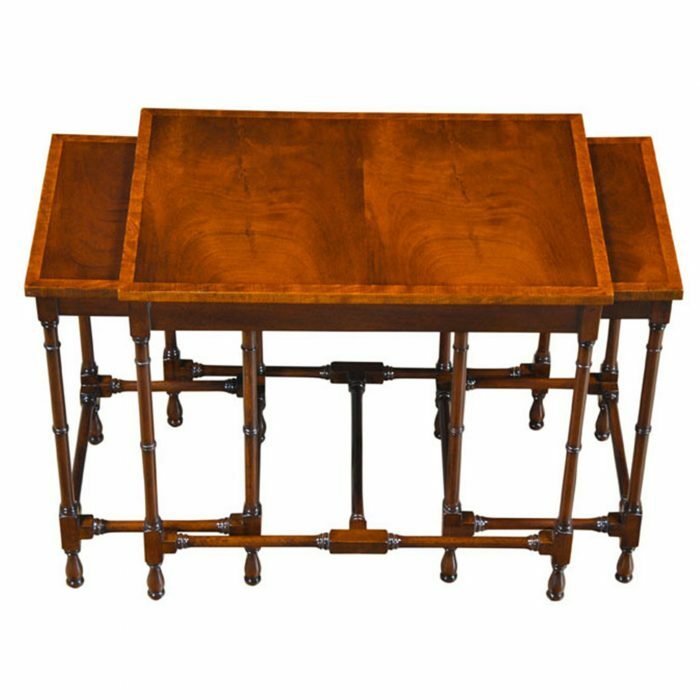 Our version is slightly larger than the original to allow for modern living spaces. 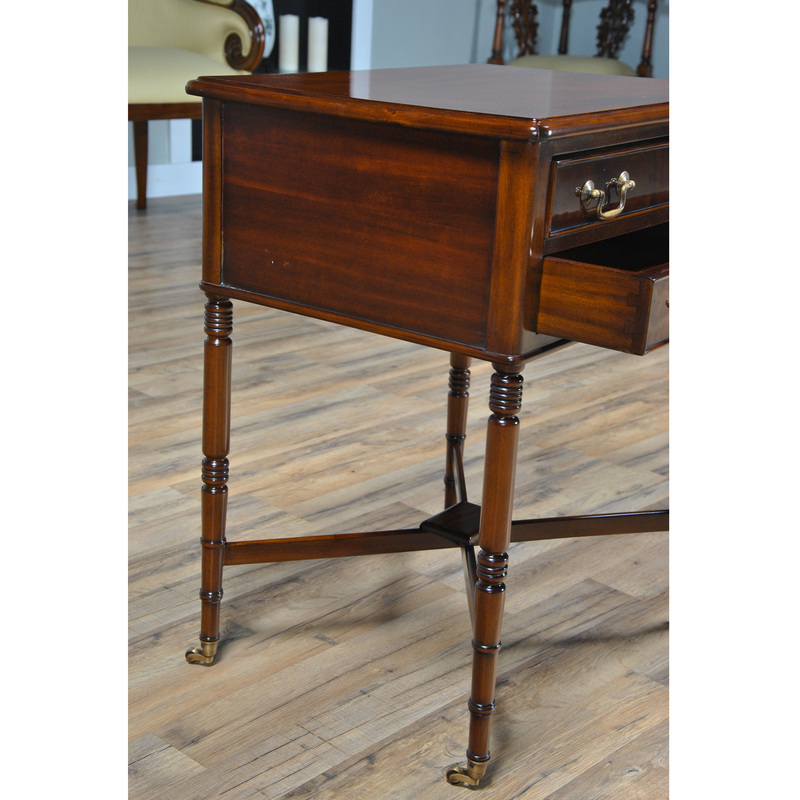 Made from mahogany and mahogany veneers the Mahogany Turned Leg Table features dovetailed drawers, turned legs produced from solid mahogany, a stretcher base for added strength and solid brass castors. 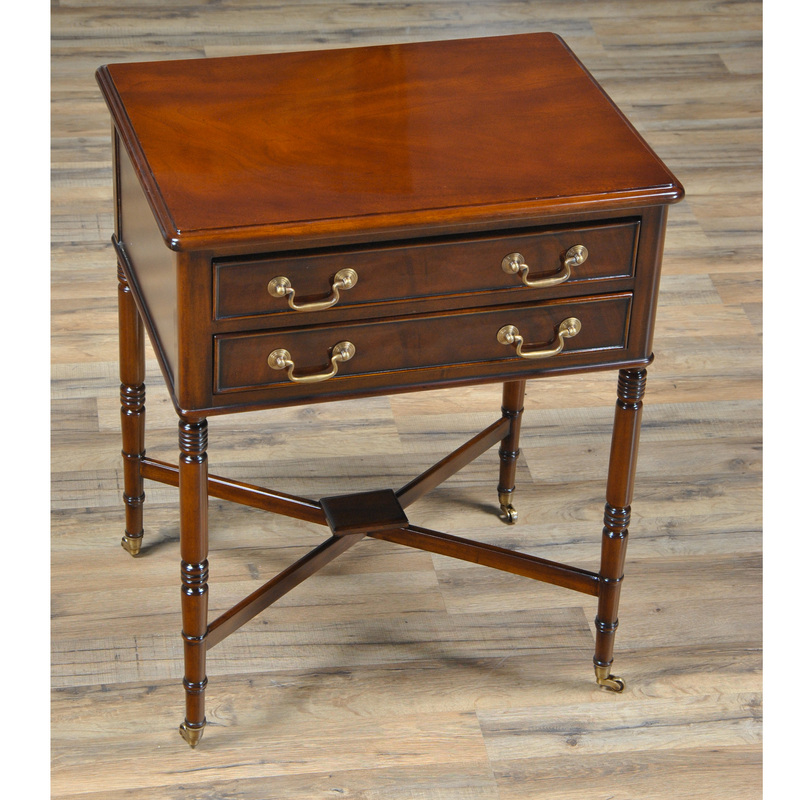 The Turned Leg Table is frequently purchased in pairs as they also make great nightstands.